I recently had the pleasure of working with Megan Lynch & her team on a very challenging project involving the coordination of over 25 authors. Megan was much more than the designer and editor I thought I was hiring. She was a partner on the project from start to finish; providing me guidance and invaluable assistance working with the authors. She put her heart and soul into the entire project and I wouldn’t have been able to accomplish it without her! Sublime Designs Media is creative, easy to work with, fast, diligent, and cost effective. They save a lot of time because you don’t need to hire both a marketing communications company and a graphics firm, they are equally skilled and deliver the superior quality level I demand. 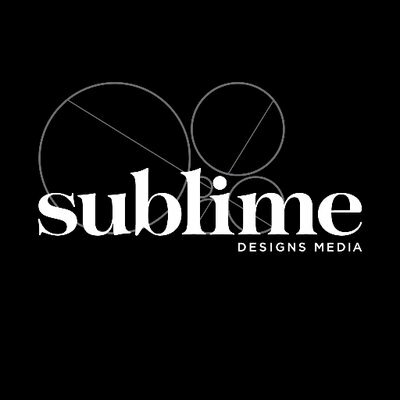 Working with Sublime Designs Media was the best business move we ever made. They are creative, reliable, patient and efficient. Sublime is excellent in providing the services needed to convey your ideas about your business. They evaluate your materials and then give you advice on what might work more efficiently to get your point across to the public. Sublime Designs Media’s ability to realize my company’s concept and vision was incredibly impressive. They are attentive, efficient, collaborative, and creative. The result of their hard work was a high quality, stunning logo and website that perfectly reflects my company’s brand. I have already received numerous clients through my website. I give them my highest recommendation! Megan Lynch & Sublime Designs Media was an absolute pleasure to work with. Their “can do” attitude was most refreshing and made the entire design process a breeze. We were extremely pleased with the print marketing materials and letterhead they created for our company. I highly recommend their design services. Megan Lynch and her team have worked with staff at the State Bar of California since early 2002, and we would not have been able to achieve our critical publication goals without their invaluable contributions. They typically juggle multiple, complex production timelines -- consistently ensuring that every project is completed either on schedule or ahead of schedule. And although the demands for perfection placed on Sublime by our high-powered attorney editors are major, they have reliably exceeded our performance expectations in relation to every project. In short, Sublime is a significant asset to our organization. They bring talent, experience, editorial expertise, and work product that is reliably of exceptional quality.